I love the movies that leave you, at the end, just thinking, “That was awesome!” The movies that, as you are leaving the theater, just make you want to turn around and watch it again. Such a movie is Spider-Man: Homecoming. Once again, Marvel Studios has added another fantastic, and unique, adventure to the tale of its cinematic universe. As Spider-Man is arguably the single most iconic and beloved of Marvel’s superheroes ever, his entrance into the MCU – meaning his solo movie, not just his first appearance – is easily one of the most desired and highly-anticipated of them all. It would have been very easy to get something wrong and invite the unmitigated wrath of fans the world over, but Marvel has done a stellar job and hit a home run. I, myself, was a little concerned, going in, that the trailers had spoiled a little too much, but I needn’t have worried. In Homecoming, we have almost everything Marvel is famous for, including thrilling action, a compelling plot, heroes we can relate to as humans, and a good deal of humor, and they are at the top of their game. The humor, especially, was absolutely excellent, as well it should be in a Spider-Man story. Laughter is a major part of his identity in the comics. 🙂 There’s more to this movie, however, than just Marvel being even better at what it’s already done. As for what makes this movie both unique and fantastic, that is worth talking about at length. To start with, Peter Parker is still a high school student in the MCU, and his story isn’t just a superhero adventure, it’s a coming of age story. With that, Peter wants the same things that most kids want: to grow up, to get out, to do good, to be taken seriously, to be a legend in a world that seems increasingly full of them, to catch the eye of that rather attractive member of the opposite gender, etc. In his case, he’s already had a taste of what it’s like to rub shoulders with his world’s legends, the Avengers, and he’s even held his own against them, so small wonder he’s so eager and impatient for more. Yet, in the final sum, he doesn’t do anything heroic for the thrill or the glory, but because he cares about people, and he cares about what’s right, and he makes his own sacrifices along the way. Sure, what he loses might not seem so dire to an adult, but that doesn’t make it any less real or meaningful. While Peter, as Spider-Man, is running around trying to help people, he comes across the occasional situation that the grown ups would prefer he stay out of. While he doesn’t do anything “wrong,” per se, and, in fact, he’s clever and thinks quickly, sometimes crap happens. Where other heroes and villains are able to stand firm, the ground beneath Peter’s feet keeps giving out under him. That’s a form of realism that we haven’t had yet in the MCU, and it plays an important role in the developing story. Iron Man’s role may have been a little exaggerated in the promotional material. I had also feared, from the trailers, that other figures, primarily Tony Stark the Iron Man, would play too big of a role in Homecoming, but it’s very well balanced. 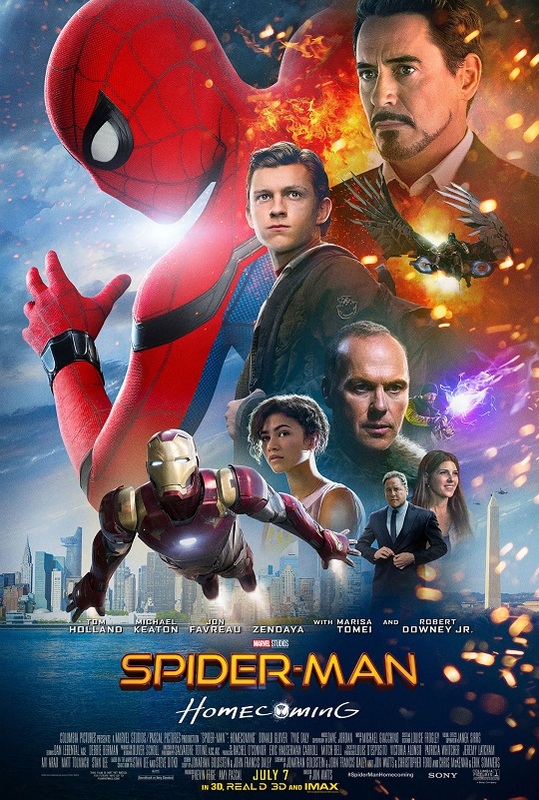 It has Iron Man, and it has other characters as well, all dealing with their own stuff, all playing their part in the story – bringing Damage Control into the story was cool – but the story is firmly Peter’s. This is his journey. This is how he learns to rise up, on his own, even as the world weighs down against him. On a related note, I love the villain. This iteration of the Vulture is easily one of the MCU’s better villains. The audience can relate to him, understand him, connect with him. He’s doing the wrong thing, but he’s not pure evil. People are often more complex than that. He certainly doesn’t see himself as a villain, just as a man pushed to extreme measures by desperate circumstances. He blames this on people like Tony Stark, the people who stand at the top and inadvertently crush people on the ground level without a care for their needs. He and Spider-Man are on a very similar level with each other, both having just barely touched the stars before being told they were out of reach. The difference is in what they do with that. 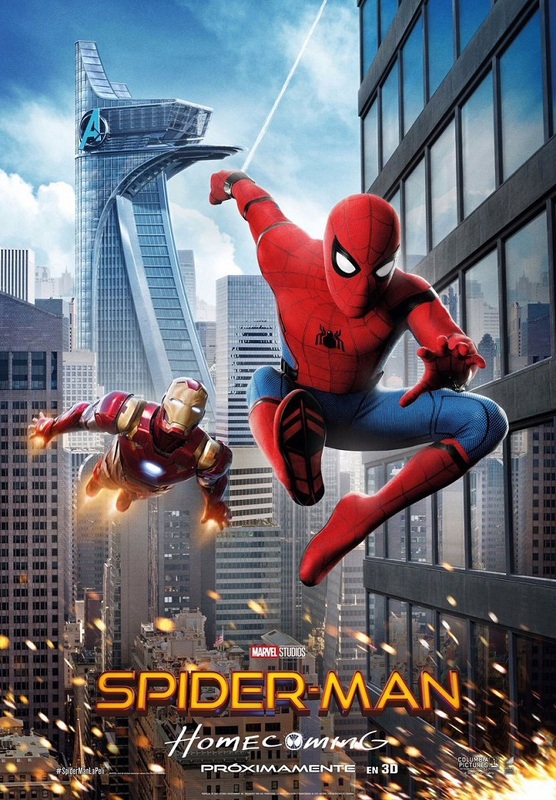 Basically, Spider-Man: Homecoming is a fantastic movie, very well crafted and executed, in every way and on every level, a worthy and unique addition to the diverse library of the Marvel Cinematic Universe. Well done, Marvel. Well done. When I eventually add this to my countdown of MCU films, this will definitely be in the forward ranks. Side-note: Sony should certainly pay heed to this experience and abandon their haphazard plans for the cinematic universe surrounding Spidey. In fact, they should just return everything related to Spidey to Marvel in a partnership like the one which created Homecoming, and reap the benefits thereof. Rating: what else? 10 stars out of 10! This entry was posted in Movies, Tuesday Review and tagged Marvel Cinematic Universe, Spider-Man, Spider-Man: Homecoming. Bookmark the permalink.